Liverpool has quite recently become a team which has outclassed most of his opponents in almost every aspect of the game, week after week and after seeing them topping the table for some good time in English premier league, we can surely expect them to clinch the silverware after years of wait. Meanwhile, they have been the only team which no one expected to do good in the last year’s UEFA champion’s league and out of nowhere, they have booked a spot in the finals of the championship. Although they didn’t been able to secure a victory against the mighty Real Madrid team, everyone did applaud and appreciate their effort down the line. Well there will be people which will say that it was just a fluke, but their recent performances in English premier league has proved, that this struggling team of the past is all set to become the next big thing in the world of football. 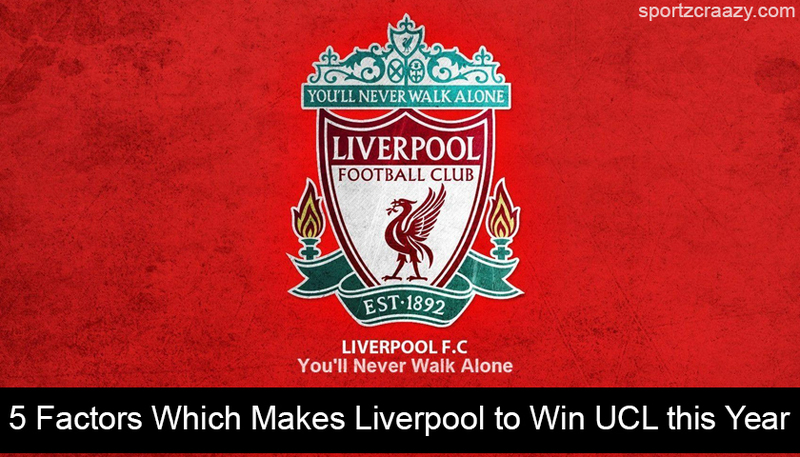 With that been said, let’s take a look at the 5 factors which brings on a surety of a UCL win for the reds this time around. To all those who were thinking that Liverpool didn’t have the star power at their back, you got to think again! They have Mohammed Salah, which is surely one of the most talked about players in the football world. Not only he has made their team booked a spot in the UCL finals last year, he has also took them on the top of the EPL table in the process. He is that one man who posses all the quality of a start player and it’s just a matter of time, that he will be counted right there in the list of players like Messi and Ronaldo. Sadio mane, is another star in their squad who has impressed everyone with his fiery pace and skills on the football pitch over the past one year. Talking about stars, they have the likes of Roberto Firminho, Virgil van djik and Shaqiri in their team who have already made their mark for their respective National teams in the recently concluded World cup. No team can just survive of handful of players and every now and then, they have to rest their key players and give chance to some of the lesser known ones on the pitch. Whilst that happens, most of the team has to compromise with their performance in most crucial games but when it comes to a team like Liverpool, they still posses one of the best bench strengths in the English premier league. While everyone talks about Salah, Mane and Firminho, there are other players like Henderson, Milner and Trent Alexander Arnold which has proved their worth in most of the key games for their team this season. Thus, even if players like Salah and Mane needs to be rested, Liverpool doesn’t really need to worry about the replacements at all. This very well makes them stand a better chance amongst their opponents in the wake of a hectic schedule coming up along including games from EPL, UCL, FA cup and Community shield. Liverpool have done their homework already and all set to hit their competitors with their best team forward. 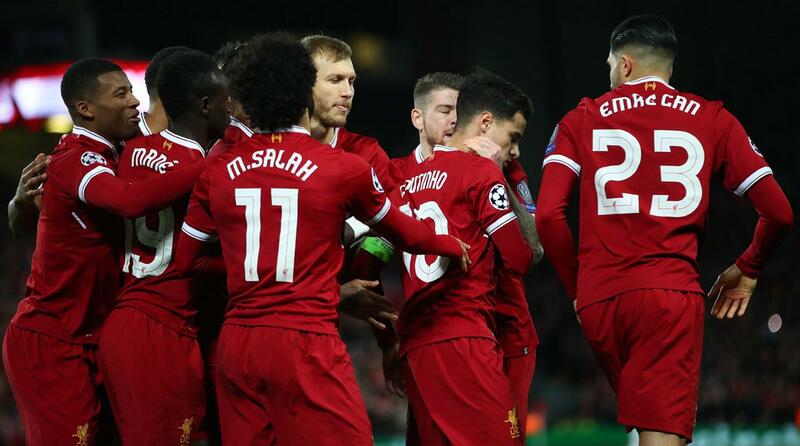 Liverpool have proved their perfection in making it home in almost every big match they have played this season and their victory against City in one of the hottest clashes of this season proves that they are a team made for big stages. 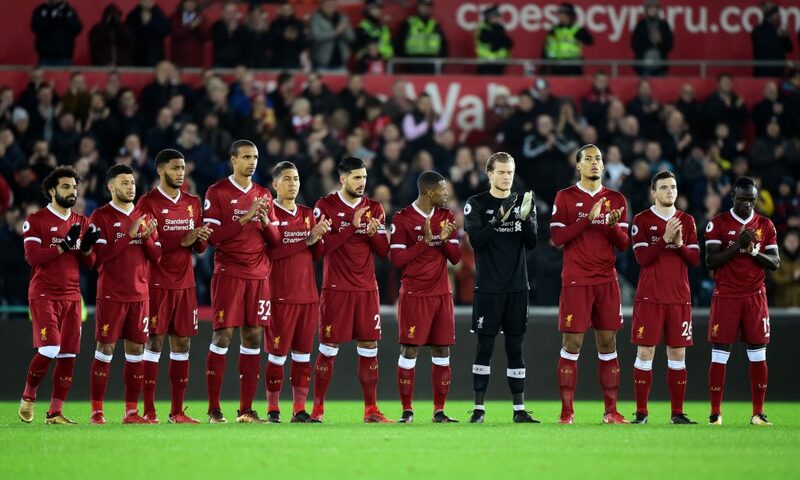 Although Liverpool did lose against teams like Swansea as well in the process, they have still held on to their nerves whenever required against the bigger team like City, United, Arsenal and Chelsea. Whilst their loss against the lowly teams might disappoint their fans, their victories against the bigger ones have been cherished more by them eventually. 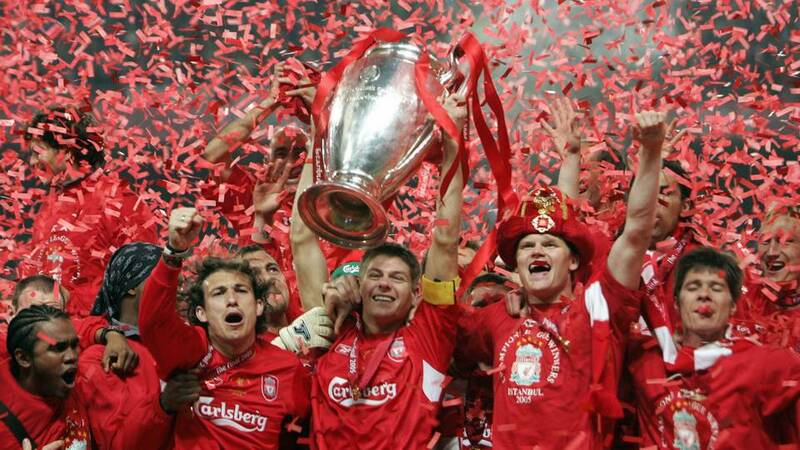 Moreover, Liverpool did beat some of the Best teams in Europe like Manchester city and Roma on their way to UCL finals last year and this certainly makes them a fan favorite for this year’s UCL as well. City was at the top of their game last year and whilst everyone expected them to beat down Liverpool in their UCL last 16 clash, Reds thrashed the defending EPL champions 5-1 on aggregate eventually. 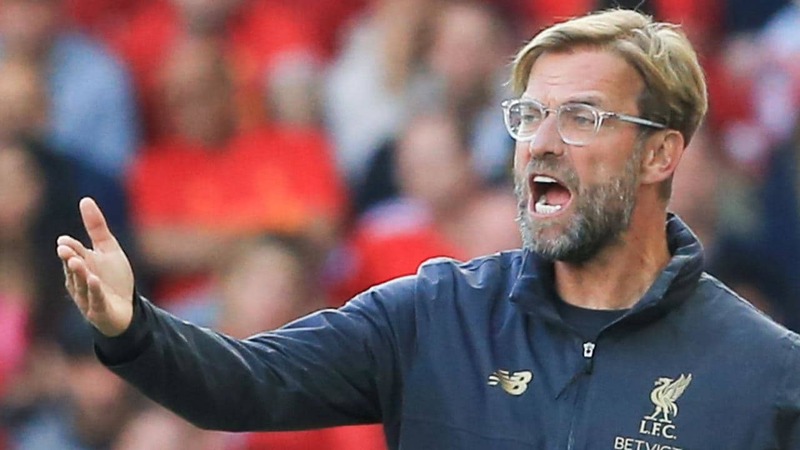 It doesn’t matter what future holds for Jurgen klopp , he is the men who has took two really struggling teams ( Borussia Dortmund and Liverpool) to the finals of the UEFA champions league and this is reason enough to confirm his efficiency as a coach. The man holds all the knowledge and hands on experience which is required to perform on the biggest stages of club football and with him at their back, Liverpool can really dream for a UEFA glory once again. Although many didn’t count him as the best coach in the premier league currently, he has single handedly taken Liverpool to the Elite teams in the world currently and seems like he is all set to make them grab their first silverware in years. Klopp literally follows his own strategy and tactics to groom the youngsters in the team and this is something which makes him class apart than all his counterparts in the premier league currently. Though it would be interesting to watch how he will make it possible for the reds to make it to the UCL glory, he seems like going “all guns blazing” for the same. Liverpool can said to be in the form they used to be years back and whilst their fans are putting their belief in the team to bring silverware this season, their current form is justifying very bit of that. Not only they are topping the table sin EPL currently, they are doing it quite convincingly against some fo the best teams in the league around. Having beaten defending champions Manchester city twice in a matter of few months and thrashing other opponents like Manchester united, Chelsea and Arsenal with great consistency certainly ensure the fact that Reds are on Roll and determined to do something big for their fans this season. Although this has happened few years back as well when Luiz Suarez was here and even though they were dominating the league for quite some time. They end up finishing second behind Manchester city in that season. Still stakes are high on them and the team is all set to turn the tables this time around for their fans. Who is the real G.O.A.T: Messi or Ronaldo ?